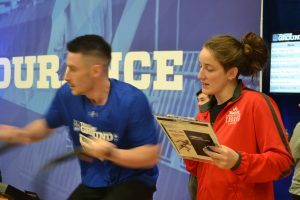 The Canadian Sport Centre Manitoba, in partnership with RBC, the Canadian Olympic Committee, the Canadian Olympic Foundation and CBC, hosted the first ever RBC Training Ground Regional Final for Manitoba-Saskatchewan last weekend. 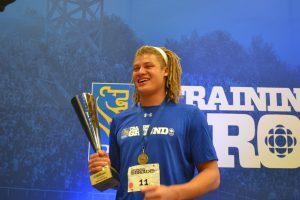 The inaugural year was hugely successful for both prairie provinces, drawing in 400 athletes through four RBC Training Ground qualifiers from across the region. The top one hundred athletes were invited to the Manitoba-Saskatchewan Regional Final where they were joined by RBC executives, Canadian Olympic Committee representatives, CBC journalists and Canadian Olympians. The all-day event took place on Saturday, May 5 at the University of Winnipeg Duckworth Centre. Athletes drove and flew in from remote areas across the prairies to attend the Final, a statement of the dedication the region’s athletes have to achieving excellence in sport. 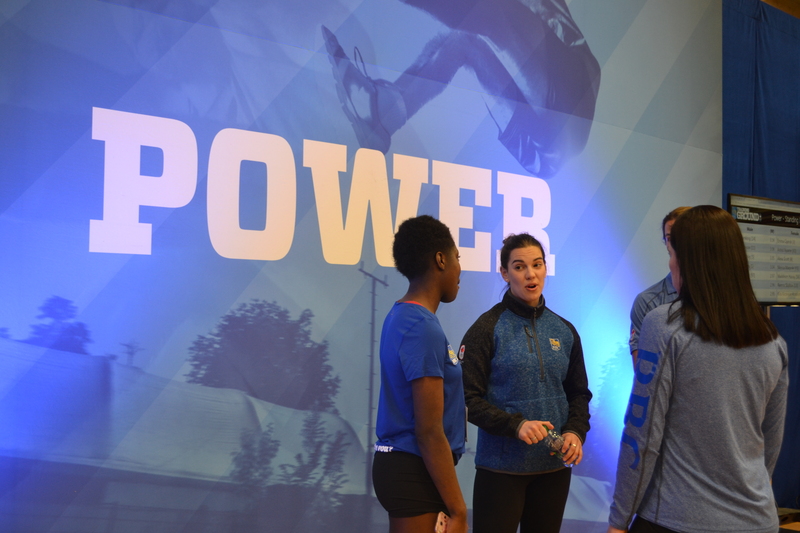 RBC Olympians Halli Krzyzaniak, James Lavallee, and Olympic champion Jill Officer chat with an athlete after she completes her testing. Four-time Paralympian and RBC Olympian Colin Mathieson greets athletes before their weigh-ins. 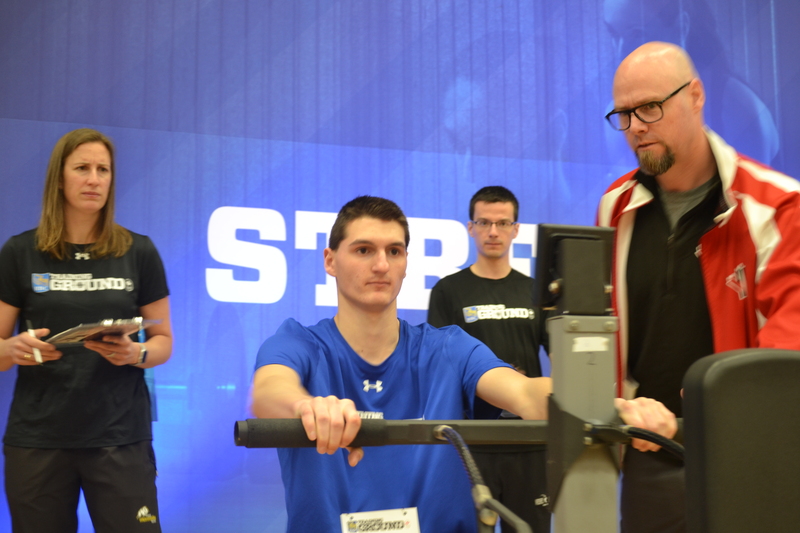 Olympic silver medallist Janine Stephens, CSCM’s Jérérmie Chase, and Rowing Canada coach Chuck McDiarmid look on as Jacob Ambroziak tests his strength. Olympian and wrestler Leah Ferguson supervises the endurance testing station. 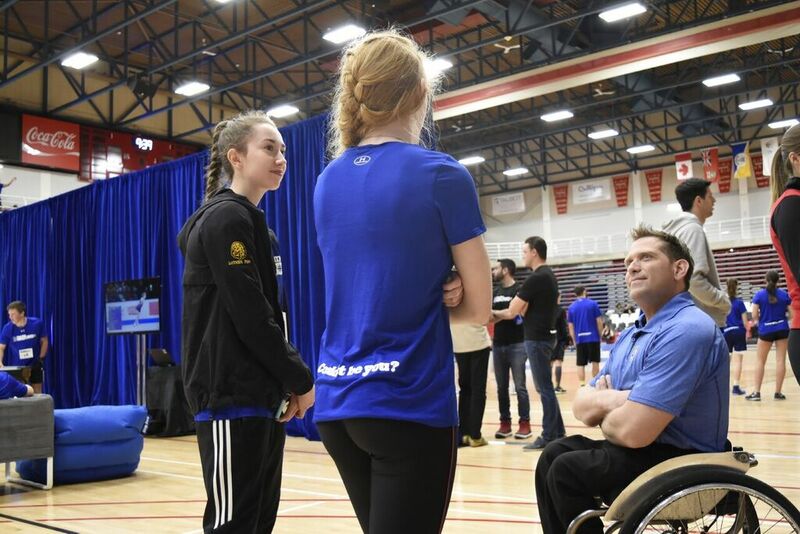 Representatives from nine different National Sport Organizations attended the event in Winnipeg to make connections with the prairie’s best athletes in hopes to find Canada’s next Olympian. 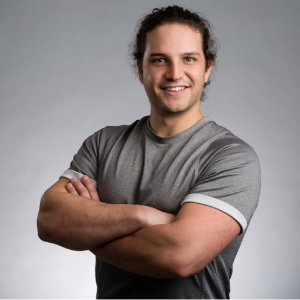 Coaches and sport officials from athletics, bobsleigh skeleton, judo, rugby, rowing, speed skating, water polo, wrestling and snowboard scouted for athletes who matched their desired profile. Event winners included athletes from a wide variety of sports, including sprinters Wilfred Sam-King and Syed Muhammad Aoun, volleyball player Emma Ciprick, cyclist Ness Dalling, and cowgirl Hailey Tonn. More than a dozen athletes were approached by members of their potential new sport organizations during the event. Kayden Johnson smiles for the cameras at the 2018 RBC Training Ground Regional Final for Manitoba-Saskatchewan. Johnson scored well on power, speed, strength and endurance tests at the RBC Training Ground Regional Final in Winnipeg. Johnson says he stopped in Winnipeg for the Regional Final en route home to Kerrobert, Saskatchewan, from university. 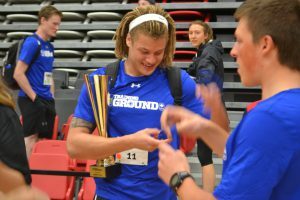 He first heard about RBC Training Ground from decathlete and 2016 Toronto Regional winner Pierce LePage, who trains alongside Kayden at the York University facilities. “My end goal is to be an Olympian, and [RBC Training Ground] is definitely a major stepping stone on my journey,” said Johnson. 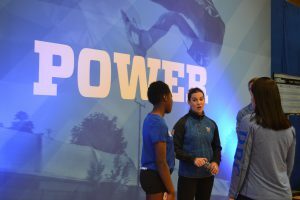 I am excited to be a part of RBC Training Ground’s continued growth, and look forward to seeing this opportunity delivered to every athlete across the province as we work to discover the next generation of Canadian Olympians. It’s safe to say that the momentum gained over the three 2018 qualifying events in Manitoba has set the groundwork for years to come. From RBC volunteers to sport coaches and COPSI Network staff, each event was delivered with professionalism and excellence that was reflected in the positive experiences of the participating athletes. Thank you to all for making RBC Training Ground’s inaugural year in Manitoba the success that it was!